The same country but separate, that’s the best way to describe Hong Kong and Macau’s relationship with China. But while these former colonies and now special administrative regions of China are self-governing, have their own laws and distinct identities, they are all three drawing closer. This is also true of currency. China, Hong Kong, and Macau also all have their own currencies but where you can use which currency can be a little baffling. Which Currency Should I Use in Hong Kong? The Hong Kong dollar is the main currency in Hong Kong and you won’t be able to use dollars, euros our pounds (although you’ll still find plenty of Hong Kong coins with the Queen starring back at you). You will sometimes see prices in tourist areas listed in both HKD$ (Hong Kong Dollars) and US$ or $ (US dollars). The Yuan has become more popular in Hong Kong and some major shops, such as Wellcome supermarkets and Fortress electronic stores will take the currency. However, the exchange rate is usually poor and you’ll certainly pay more if you use Yuan. The official currency of Macau is the Macau Pataca or MOP. It has been pegged at an official exchange rate to the Hong Kong dollar since the 1970s. As a result, the Hong Kong dollar is a semi-official second currency in Macau and can be used just about everywhere. In some places, including some of the large hotels, they will only accept the Hong Kong dollar rather than the Pataca (despite government legislation to the contrary). The exchange rate is one for one so you won’t get ripped off paying with the HKD. The Chinese Yuan will usually be accepted in hotels, casinos, and upmarket restaurants but is not in common use and won’t be ​taken in most shops or on public transport. The Pataca can be a difficult currency to get hold of outside of Macau. Even in Hong Kong, only a handful of currency exchanges near the ferry terminals carry the pataca. You will be able to get the pataca from the many ATMs in Macau, however. If you are in China proper, Beijing or Shanghai, the currency is the Yuan and only the Yuan. But closer to the Hong Kong border in Guangdong, the situation is a little more fluid. The Yuan is still the main currency, but many major shops, hotels and even taxi drivers will also take the Hong Kong Dollar. Your change will be given in Yuan, however. Once upon a time the Hong Kong Dollar was sought after in Hong Kong and you could expect a generous exchange rate simply because shopkeepers were keen to get their hands on money more reliable than the Yuan. But times have changed and the Hong Kong Dollar is no longer quite so attractive. As a result, you’ll need to keep an eye on whether the exchange rate is fair or not and if you’d be better off paying in Yuan. 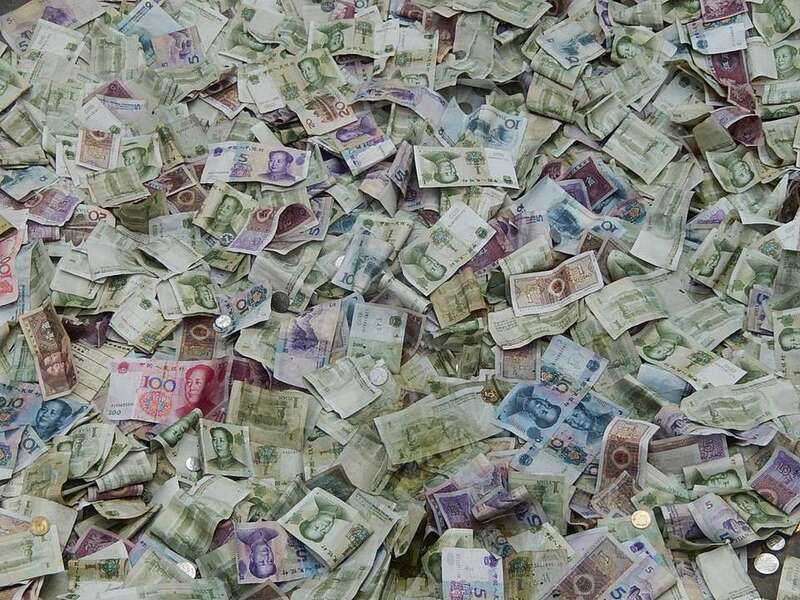 Remember, the Yuan can be difficult to exchange outside China so try not to get stuck with a wad of cash at the end of your trip.